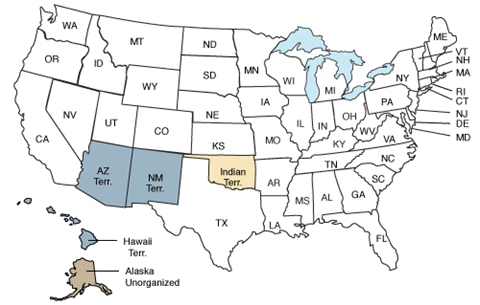 45 States participated in the 1900 census, including the new states of Utah, Idaho, and Wyoming and the territories of Arizona, New Mexico, Alaska, Oklahoma, and Hawaii. 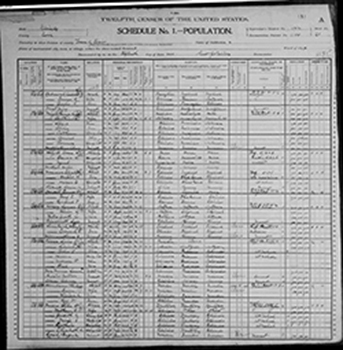 Because of the loss of the 1890 census, genealogists consider the 1900 census as the most valuable of all the U.S. censuses, providing information for a 20 year gap of missing data. It took approximately $11,854,000 and 52,871 enumerators to complete the 1900 census, producing 10,925 total pages in published reports. The U.S. population increased by 25.5 percent from the 1890 census to the 1900 census. 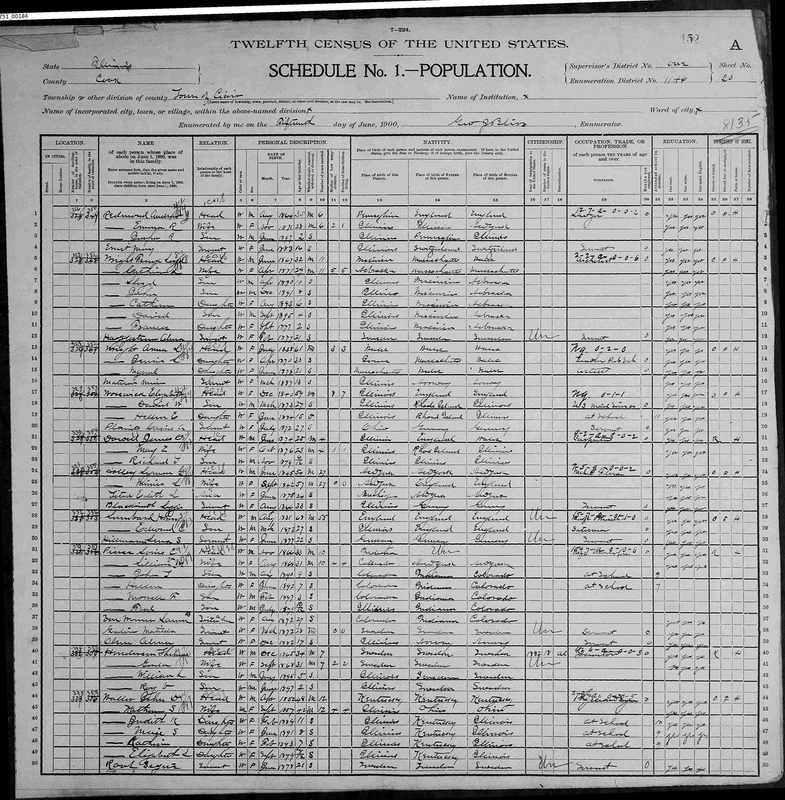 What was lost from the 1900 U.S. Census? Frank Lloyd Wright was a major figure in American architecture, combining elegance with technological advances, and creating environments which served practical functions as well as complimenting the natural surroundings. Some of his best known residential work was built around the turn of the 20th century while he lived in the Chicago suburb of Oak Park, IL. Born in 1867, just two years after the American Civil War ended, Wright crafted 1,100 designs that changed the way architecture interacted with nature and our daily lives. The 16-year project for the Guggenheim Museum, located in New York City, is a testament to his adventurous design aesthetic. Frank Lloyd Wright died in 1959, the same year the museum was completed. Frank Lloyd Wright in the 1900 census while living in Illinois with his wife and five children. December 17, 1903: The Wright brothers are the first to fly a controlled, powered sustained flight airplane in Kitty Hawk, North Carolina. February 12, 1909: The NAACP was formed. The Lincoln Head penny was put into circulation by the U.S. Mint in 1909.